Last month's IDC report on the tablet market may have shown overall sales of the devices declining for the seventh quarter in a row, but Amazon is one firm that has seen tremendous growth in the area, thanks to its low-cost Fire tablets. Today, the company revealed a new device is joining the Fire family, and that voice assistant Alexa would soon arrive on its tablets. 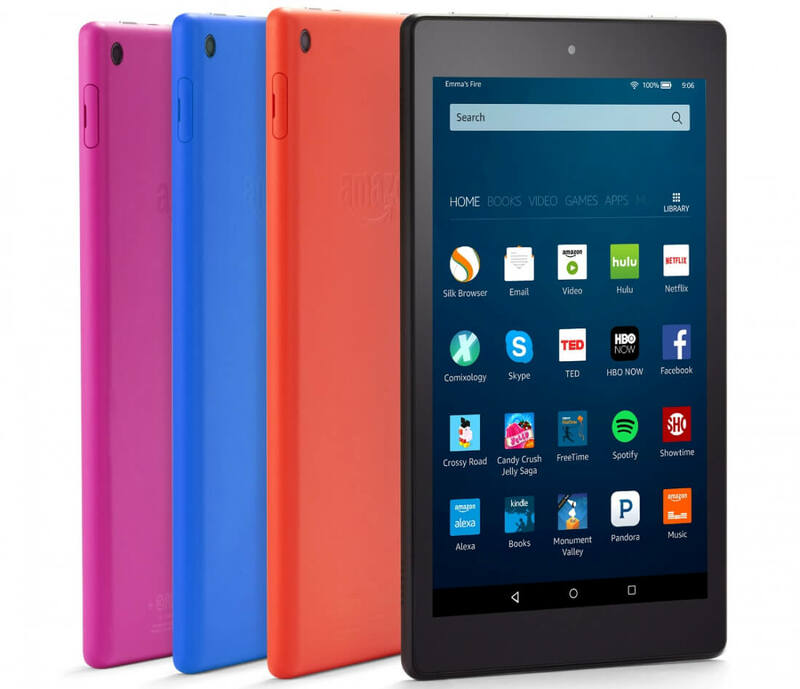 The refreshed Amazon Fire HD 8 may bear a striking resemblance to the Fire HD 8 that was released last September, but it contains some upgraded hardware and, surprisingly, a much lower price. The eight-inch display remains, naturally, but Amazon claims the new, 4750 mAh battery will give twelve hours of life from a single charge. RAM has been doubled to 1.5GB, and there’s 50 percent more storage – 16GB. If that’s not enough, you can add a memory card of up to 200GB in capacity. There’s also a quad-core 1.3Ghz CPU, an 189ppi 1280 X 800 display, front- and rear-facing cameras with unlimited cloud storage for photos, Fire OS 5, stereo speakers with Dolby Audio, and plenty more. All for just $90, or $120 for the 32GB version - a big improvement from the original's $150 price tag. The biggest addition, of course, is Alexa functionality. Unlike with the Echo, you’ll have to press a virtual button to activate Alexa, rather than simply saying her name. According to Amazon, the interface will look much as it does on Fire TV. Alexa won’t be available on the Fire HD 8 at first, but will arrive via an over-the-air update “in the coming months.” It will also be available for the Fire 10, the Kindle Fire, and the last generation Fire HD 8. The new tablet will sell in black, magenta, blue, and tangerine options. It’s available for pre-order now, and shipping begins September 21.